Prime Minister Ranil Wickremesinghe last night kicked off the much-anticipated second edition of Tourism Fest 2016 at the Independence Arcade in Colombo. Tourism Development Minister John Amaratunga, Archbishop of Colombo His Eminence Malcom Cardinal Ranjith and a host of other dignitaries including the diplomatic community participated. The Tourism Fest is aimed at creating a lively seasonal atmosphere in the city during the peak tourist season. The first Tourism Fest held last year was a huge success with thousands of both locals and tourists visiting the four-day-long event. This year too the event will be spread over a four-day period beginning from 20 December to 23 December. Each evening the Independence Arcade will be transformed in to a tourism hot spot with a multitude of entertainment options ranging from seasonal carols and nativity plays to musical shows featuring leading bands, cultural shows performed by the three services and police, food festivals, shopping and many other attractions. The daily programme starts at 6 p.m. each day with nonstop activities planned throughout the night up to midnight. Colombo City Tours will be operating a special shuttle service between the five star city hotels and the Independence Arcade. Like last year the event is a public private partnership with many tourism sector stake holders joining hands to organise and promote the event. 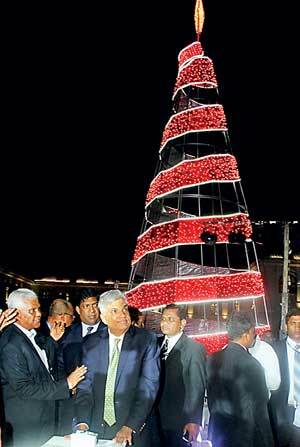 A significant development this year is a ‘sister’ event, Colombo Christmas Street which will take place at Green Path in Colombo from 22 to 24 December. Major crowds are expected to flock to both locations.